Despite the fact that regular carpet cleaning by professionals is necessary to ensure your carpet leads a long and healthy life. Extra care and maintenance on your part can go quite a distance. Adequate care and maintenance of your carpet will lengthen its life and preserve its appearance longer. Failure to maintain proper care can lead to premature wear. Furthermore, clean carpets contribute to a healthy indoor atmosphere. Do away with stains and spills as promptly as possible. This is best accomplished by Auckland Carpet Cleaning carpet professionals. Remove as much excess as you possibly can, then apply and blot with a clean white cloth. NEVER rub the spot as this may grind the stain in further. Have your carpets cleaned and protected no less than twice a year by Auckland Carpet Cleaning, or more often if you have children or pets. Similar to all textiles, carpets will eventually show signs of wear. The wear creates an illusion of soiling, which frequently causes frustration and misunderstanding between the homeowners and carpet care specialists. Although a carpet has been cleaned, it doesn’t mean the traffic areas will look clean. Traffic areas are those areas where people are constantly walking or working. This case creates what is known as “Traffic Lane Gray”. Even though “Traffic Lane Gray” is an inevitable part of any carpet’s life; the process leading to it can be slowed. One strategy to prevent this is to rearrange the furniture in your house. In that way, you will block old traffic areas and create new ones. By means of occasionally switching the flow of traffic, you will distribute the results of “Traffic Lane Gray”. It is also possible to add area rugs to places where “Traffic Lane Gray” is inevitable through rearranging furniture. A prevalent misconception of homeowners is that carpets simply necessitate routine vacuuming to be cleaned. Although vacuuming may make your carpets appear spotless from your family’s contribution to everyday activity or mishap. You need to also consider the dust as well as particles that lie beneath the surface. A carpet ought to receive an annual (some professionals recommend as often as every six months – others suggest every 12-18 months) and thorough deep cleaning by a carpet cleaning specialist. The kind of fiber used to create a carpet will determine its durability, appearance, stain resistance, and its selling cost. Routine deep cleansing removes dust and dander that settle as time passes. Auckland Carpet Cleaning’s impressive Steam Cleaning process works deep for an extraordinary clean. The level of traffic your carpet receives will determine how often vacuuming is important. Vacuuming a few times weekly reduces the dirt that is likely to end up in the roots of your carpet. Spot cleaning is also a critical part of keeping your floors clean. After vacuuming, apply a quick spray of Carpet Deodorizer (different scents available) for a pleasing fragrance, together with built-in stain resistance protection for your carpets. Who has not spilled a glass of milk, soda or vino? Auckland Carpet Cleaning provides excellent carpet stain removal service to lift spots. For really troublesome spots, a professional cleaning application is a necessity. Simply call Auckland Carpet Cleaning to make sure you get proper treatment of your carpets. 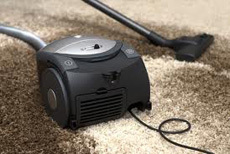 Firstly, we remove all the loose soil in the carpet using a powerful dry vacuum system. We then lightly spray Auckland Carpet Cleaning exclusive cleaning solution onto the carpet. This solution is a mild cleaning solution which immediately penetrates each carpet fiber and starts breaking up the dirt trapped within. Next, we go over the carpet with a floor buffer which has specially designed absorbent pads on the bottom. The buffer weighs about 100 pounds. As it spins, it gently flops the carpet fiber every way possible. We use both sides of the pad, then when it is dirty we use another clean pad. We continue this method until the soil and moisture are completely removed. At the end of the day, we wash the dirty pads so we are ready to go the next day. Next, we groom the carpet fibers all in one direction. The carpet will be totally dry in less than an hour after we finish the process. The carpet will stand up like it did when it was new. It will look, feel, and smell clean and fresh.